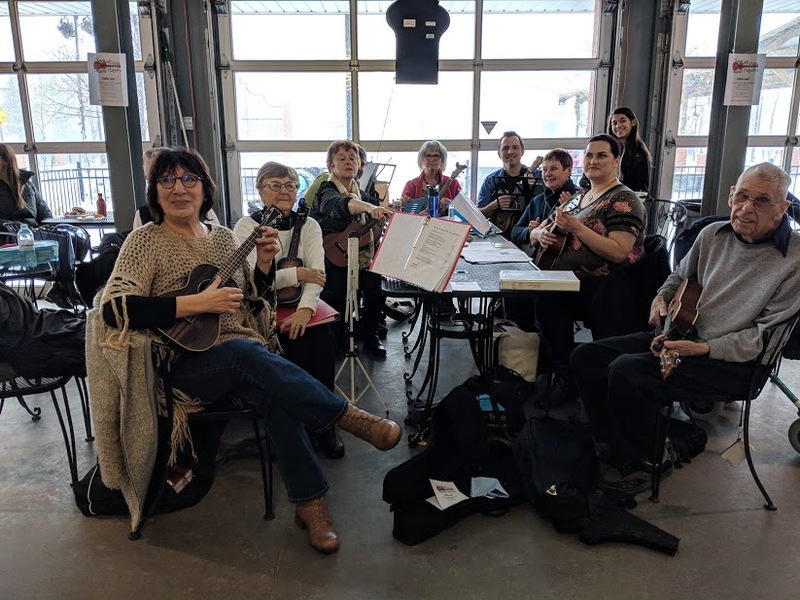 Thank you to everyone who came out to our Play Your Ukulele Day event at the Saskatoon Farmers Market on February 2nd, 2019! The ukulele is thought to have originated from traditional Portuguese instruments such as the machete, cavaquinho, the timple, and the rajão. Portuguese immigrants brought these guitar-like instruments with them to Hawaii where, in the 1880’s, they eventually became the instrument we know and love today. In the Hawaiian language, ‘ukulele’ means ‘jumping flea’ as the fingers of ukulele masters seem to jump around the strings like fleas. The modern ukulele spread to North America and around the world in the early 20th century and become a popular instrument during both World Wars. Starting in the 1960’s, the ukulele became the instrument of choice in many schools as an inexpensive way to teach kids music. While the ukulele faded somewhat in popularity, a steady revival of this wonderful little instrument has been slowly growing around the world since the 1990’s with clubs and jam sessions being held in pubs and coffee shops every day. Play Your Ukulele Day is also sometimes celebrated on May 2nd and with an instrument so fun to play, why not have 2 days of the year to celebrate?! Visit us again or join our Meetup group to find out about upcoming jam session dates and events!